This week on lunch with Seth, we are taking our leftover chicken plus a few of Seth’s favorite things, to make a fun new lunch. Packing a fun and healthy lunch doesn’t have to be super complicated, but it is very important! So when my son asked to have a little corner of my blog to encourage other kids and moms, I was thrilled! Seth is my first born, he will be 10 this month! yes I said 10. I will be over here crying! He loves to cook like mommy and daddy and it’s the only chore that he begs to have. 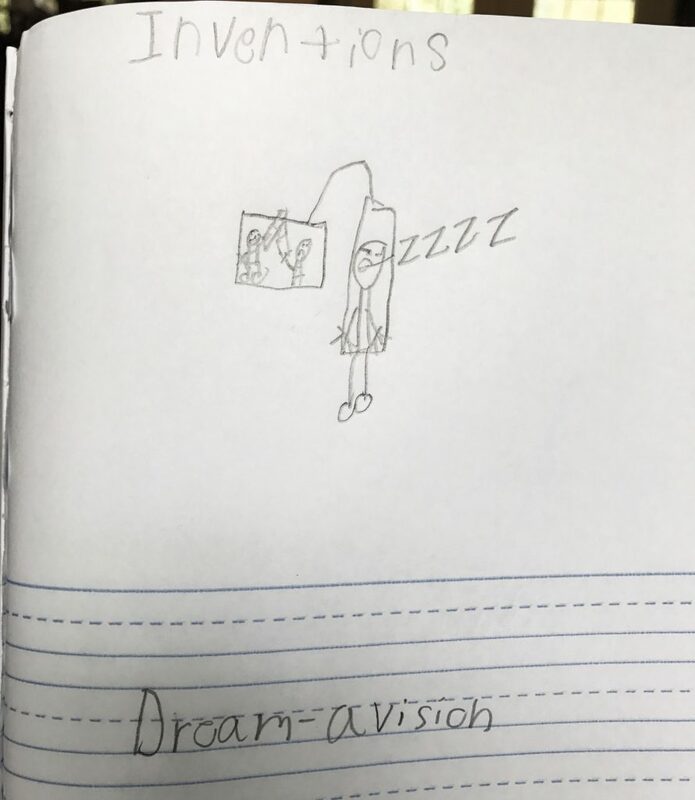 My boy is also a dreamer! He is one of those kids that comes up with all the futuristic ideas! 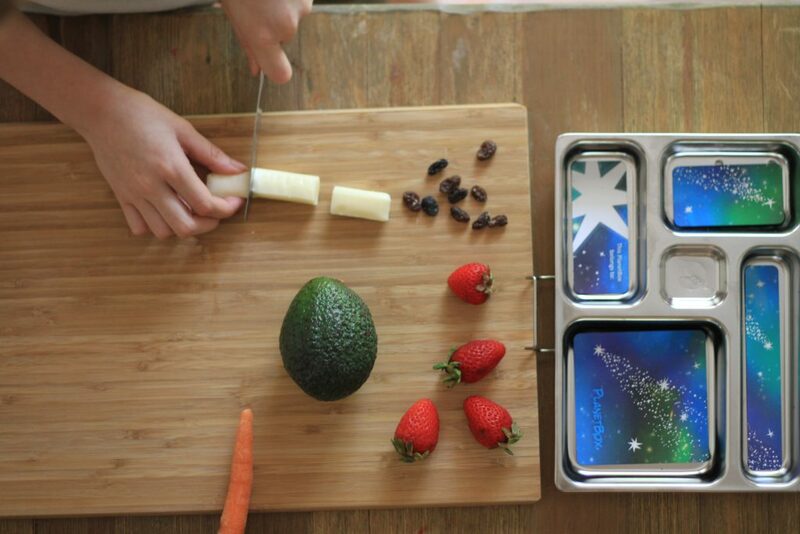 Convinced that he can change the way that you think about packing lunches and that he can make kids believe that healthy eating is fun! Will you be a part of his journey? Let’s start with a simple lunch that he literally just made from walking around the kitchen! 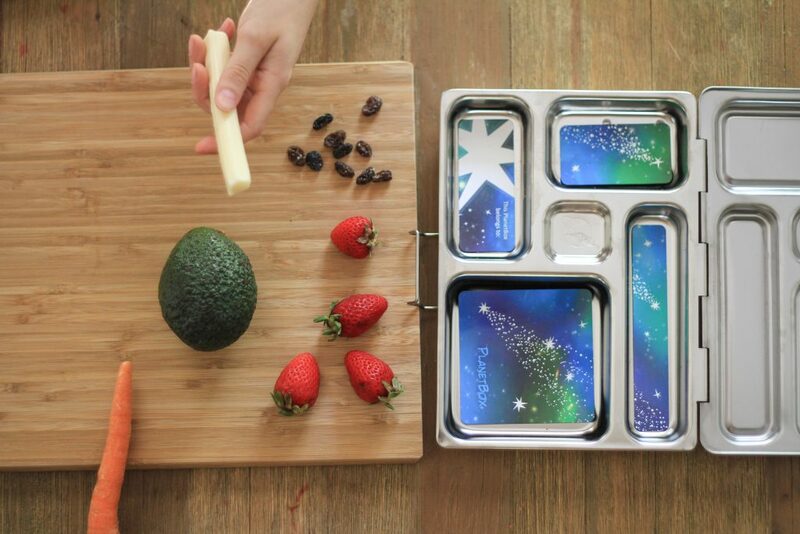 He was so excited to have received his new lunch box from PlanetBox our only and favorite! 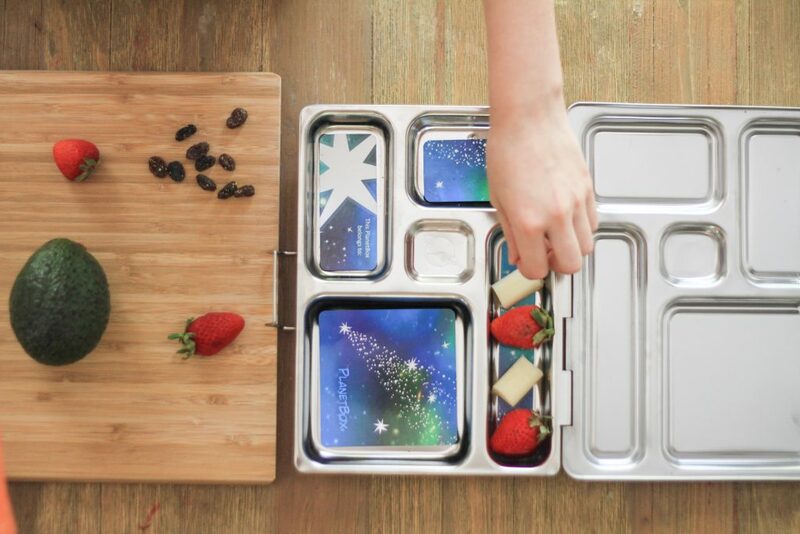 PlanetBox is made out of stainless steel, it’s non toxic, because really we are talking about our lunch here :). It’s reusable and recyclable, which makes it not only good for us and our kids, but also for our environment. The different food compartments are the best! 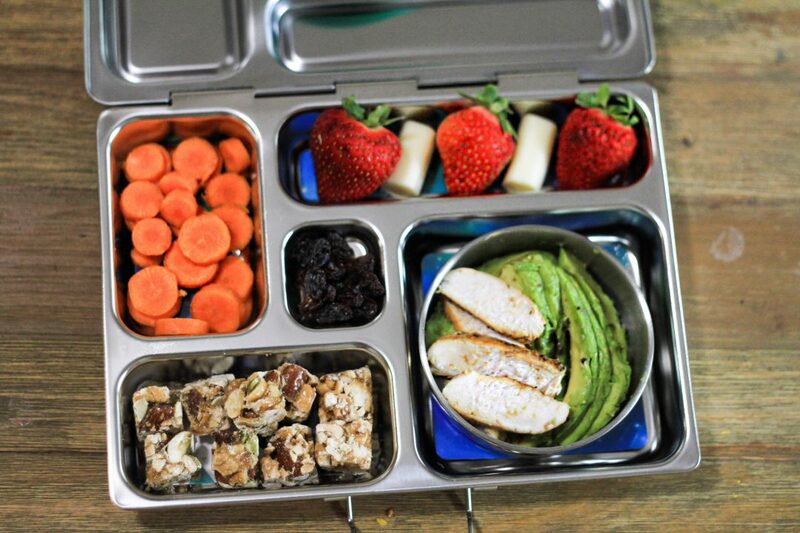 We can put completely different foods in the same lunch and no be afraid of some yucky mush, which was way fun for Seth when it came time to make this lunch! I told him that I was providing leftover chicken, and he would have to go to the pantry to find the rest of his lunch. He felt like he was on that TV show, where the chefs go crazy trying to get pantry goods. This is what he came back with. I asked him if he needed help but he said no mommy! I got this! And really it was easy for him to arrange the food in a way that he wanted, then I offered some granola bites to complete the lunch and boom! Lunch was ready! He paired the strawberries with the cheese, which was delicious. For the chicken, he wanted some avocado and salt, some times left over chicken can be a bit dry, so avocado is a great way to add some moisture and creaminess. Carrots! the child almost never eats carrots! I’m telling you, making your own lunch can be miraculous! Raisins have been a staple in this house for quick snacks and for our field trips, so I can see why he grabbed those, and they fit perfectly in his creation. His brothers came along to watch big brother do his thing, when he was done, everyone was begging to eat the veggies and fruit in that lunch box! Every morning, they wake me up with ideas for what we can pack for today, and I love it! I discovered a while back that if I only keep things I want them to eat in my kitchen, that is what they will grab. It’s not always easy! I have a terrible sweet tooth! But I also know that they watch me and what I have for lunch. So that helps me a lot to make better choices! For myself and for them! I encourage you to start talking to your children about their meals! It’s amazing how their minds will come up with outstanding ideas! 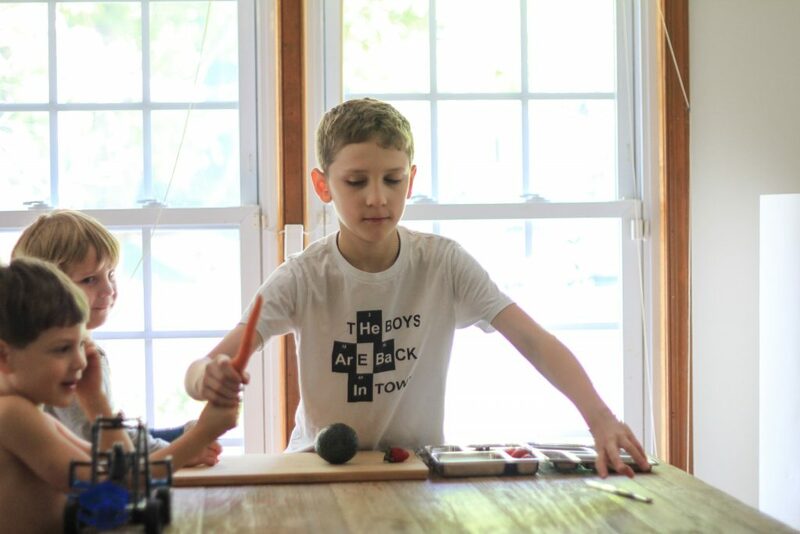 When they feel like they are helping, it helps them to learn a sense of responsibility with what they eat and how they take care of their bodies. Come see us next week! 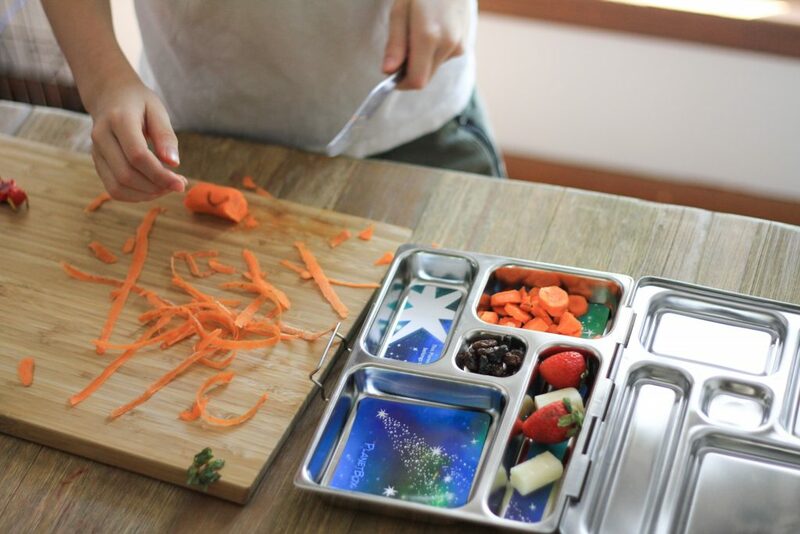 When Seth will be showing a simple and fun recipe, to include in our amazing lunch, and showing off some more cool features of our PlanetBox! Can’t wait to grow our lunch adventure with you all! You can also pin this post, to save it for a future time. Here is the finished product, seconds before being devoured by hungry little dragons. For more fun ways to teach kids responsibility and independence, check out this post with a free printable chores chart for kids. You can find Seth’s shirt here for a steal!